LG Display, the world’s biggest organic light-emitting diode panel maker, said Friday it is working with Japan’s national public broadcasting company NHK to broadcast the 2020 Tokyo Olympics with 8K picture quality. 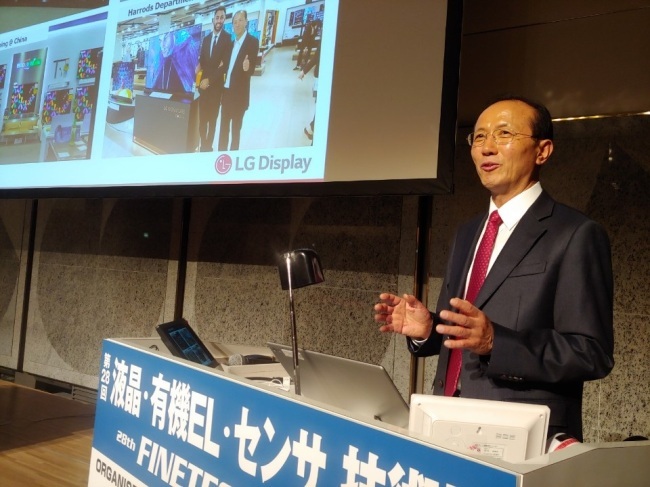 The partnership is a part of LG’s OLED business plan for the Japanese TV market, where there is high demand for high picture quality. “Enjoy the 2020 Tokyo Olympics with OLED TVs,” he added. In Japan, OLED TVs account for 69 percent of the market for high-end TVs over $2,000, Yeo said. LG Display is the world’s first OLED TV panel provider that introduced the panels in 2013. According to IHS Markit, the global sales volume of OLED TVs is forecast to stand at 2.54 million units this year and to grow to 6 million by 2020.